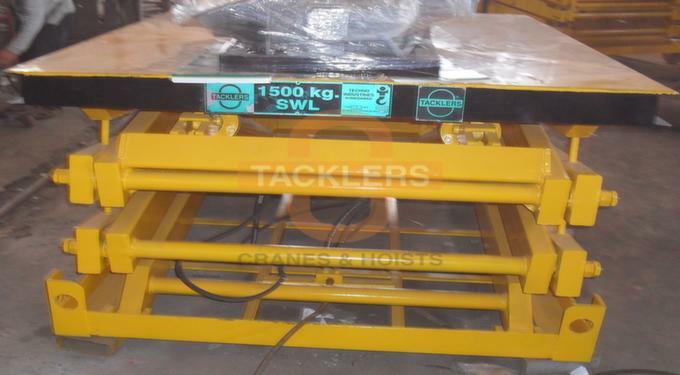 TACKLERS Hydraulic Double Scissor Lift Tables comes with short platform high vertical travel. 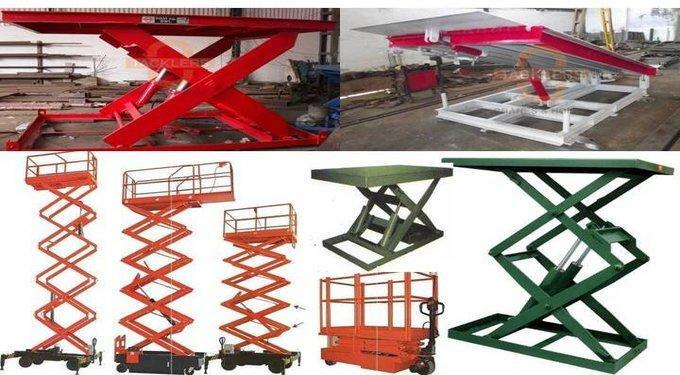 These Multi Scissor Lifts Tables are simple and universal devices to bridge for height differences, to move goods between different levels. 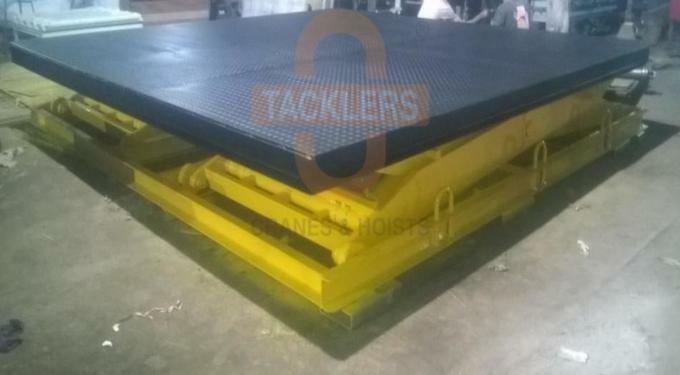 Hydraulic Single-Double Scissor Lift tables are quite effective as they saves labor, eliminates injury & increases production levels and employee safety on the loading dock and throughout the facility. Provide ultimate flexibility and cost efficient alternative to expensive and space-consuming concrete ramps. 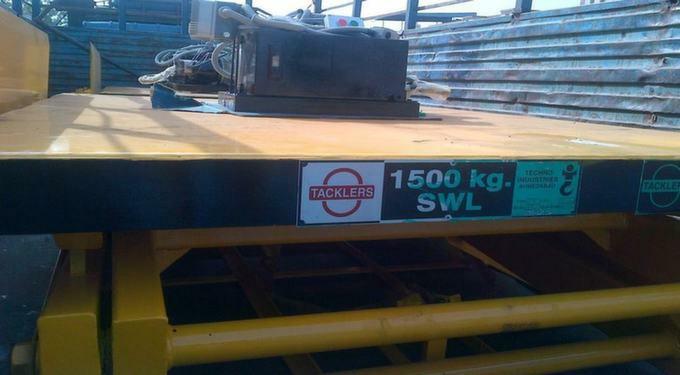 Accommodate a wide variety of trailers and commercial vehicles. Capacities range from 100 Kgs to 10,000 Kgs depending on product. Hardened steel rollers provide greater structural strength & durability. Self-contained power unit / control panel.